If you like creating keepsakes and family traditions, you will like this one. 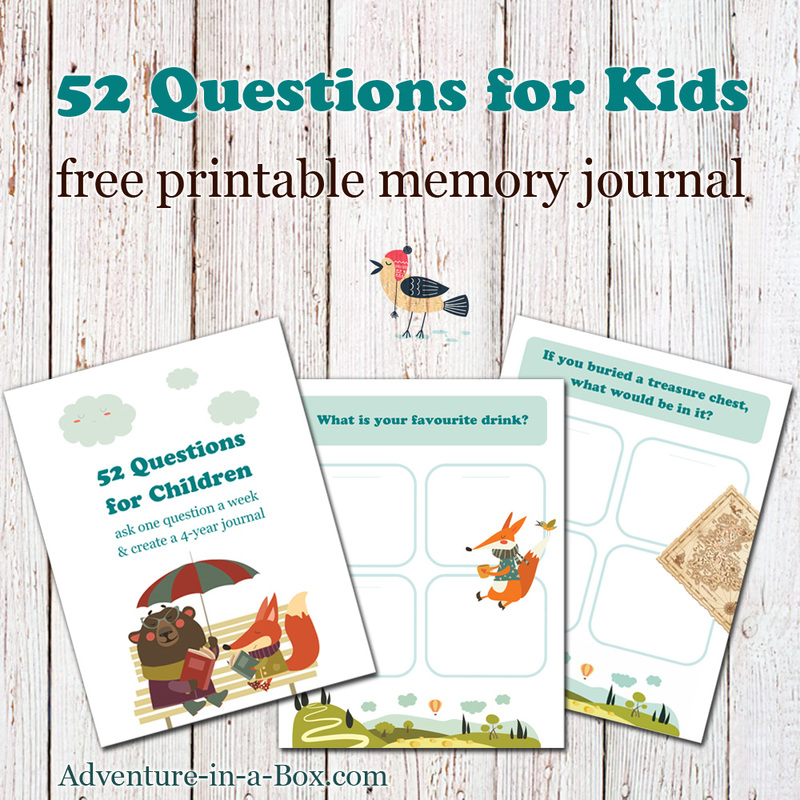 Download this free printable template for a Q&A journal with 52 questions to ask your children – and fill it once a week or whenever convenient! People change. It’s especially noticeable with children. What seems like the centre of their universe right now becomes obsolete in a matter of months. While I feel proud to see my children grow, there is a little bit of me that wants to remember those funny expression they had as toddlers, the insistence with which they clung to the notion of becoming firemen, and the surprising understanding of the world, expressed with a few simple words. I created this journal to keep these memories together. There are 52 questions you can ask your children! Some of them simply record their favourites (favourite ice-cream flavour, book, or toy); others suggest imaginative situations (if you met a genie, if you ruled the world, or if you had a spaceship); and the last batch are somewhat philosophical questions (about their dreams, anxieties and self-perception). 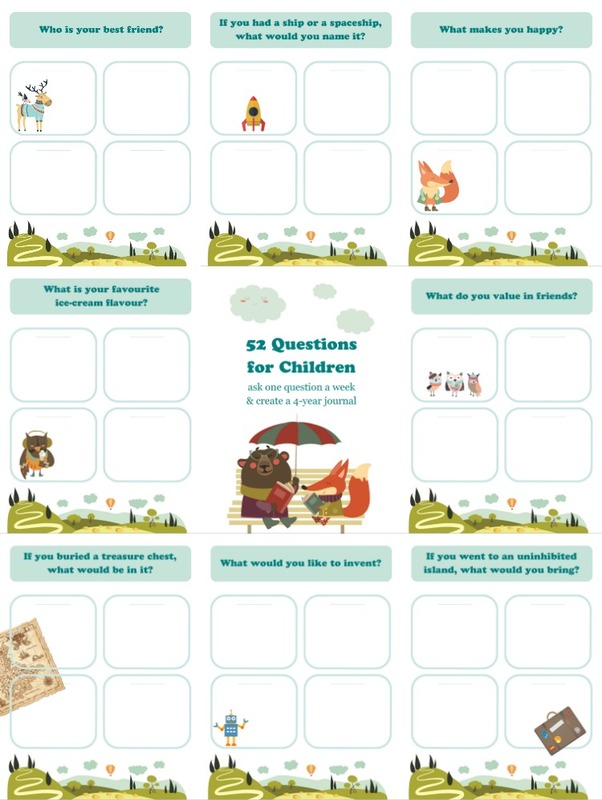 I wanted to make the questions simple enough so that my four-year-old son could answer them, but in case you feel like some questions wouldn’t work for your children, I included a blank sheet as well, so you can add your own! Download the free printable template! Ask every family member a question once a week and have a memory journal in the end of the year. 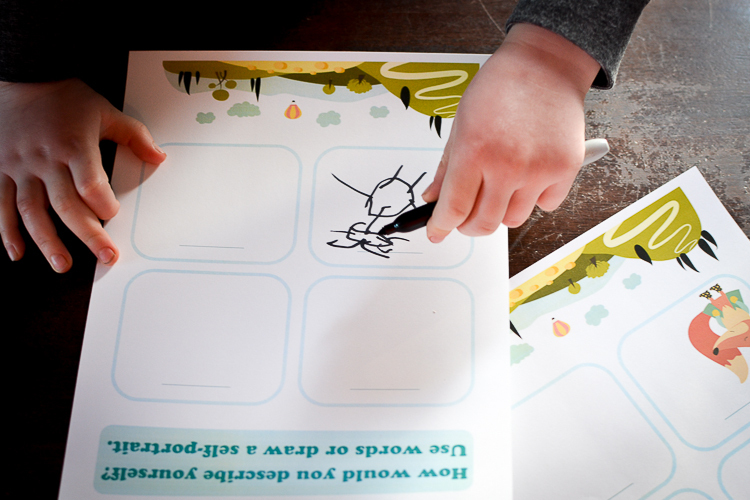 Each pages has spots for four people to write down their reply – print each page twice if you need more! Ask your child a question once a week or whenever convenient, then write down the answer, marking each with a date. Once filled or in about a year, go back to the beginning and start over. It’ll take four years or more to complete the interview, but it’ll create quite a concise keepsake! Look through the questions and choose 10-15 favourite ones, then answer them with your family. In a year, repeat again with the same questions and compare how they changed. It could become a fun birthday or New Year tradition! 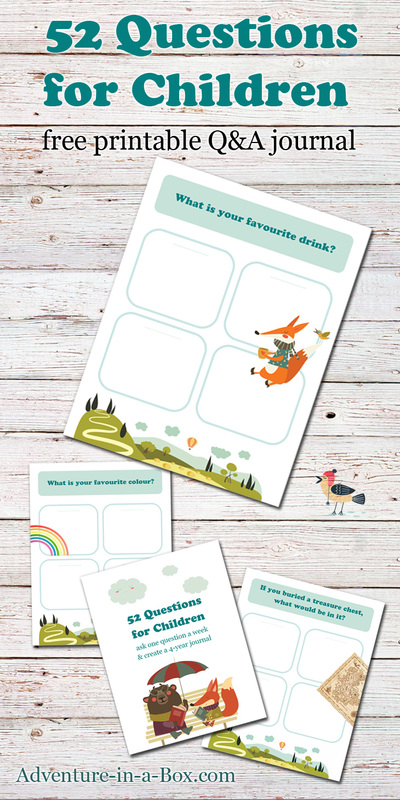 Use as conversation starters and divide the questions between guests at a family gathering, so that everyone gets 2-3 sheets. Optionally, hold the game at a table with guests interviewing their neighbours to the right and left. Also, some questions can be answered with drawings instead of words, so you can use them as art prompts as well! If you want to keep the journal for a long time, bind the pages with rings. Here is Anselm responding with a drawing to the question as to how he sees himself. Rather bug-shaped! We’ll see how it changes in a year. We also write down what makes us happy. “Being outside” for Jeffrey, after shovelling snow in our backyard. “Books” for me. And “Kissing Faye” for Anselm. Isn’t he an affectionate big brother? 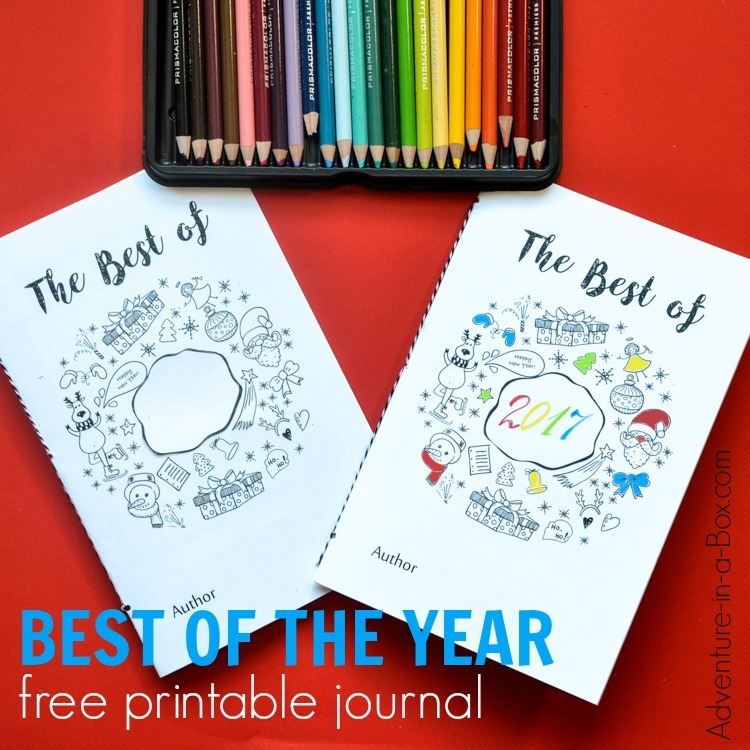 On New Year’s Eve, make this Best of the Year free printable journal together with kids! Filled with writing and drawing prompts, it captures their best memories of the past year and prompts them to make resolutions for the year to come. Hi, I’d love to have the free 52 questions to ask your kids template, but I can’t seem to find a download button. Am I just missing it? Hi Catherine, thanks a lot for telling me about this! There was a problem, but I’ve fixed it now. Hope you’ll enjoy it! What a Terrific idea. Great layout and suggested questions. I’ve been digitizing our family journals from the last 30+ years and would have loved to have had this to look back on. We just got a new “10 year journal” From “Because Time Flies” since we filled up the last one. We usually update it for the day during dinner. It’s just a few lines so not intimidating like a diary can be. Anyway – I’ll be adding these questions to the heading of each week and we’ll see how our answers might change over the next 10 years. That sounds wonderful! I’m so happy that you felt inspired by this idea. I bet it’ll make a very interesting 10 year journal.